Today was an absolutely beautiful, sunny day that called to us to be outside. We started our day with a walk in Le Jardins des Plantes, Paris’ main botanical garden. 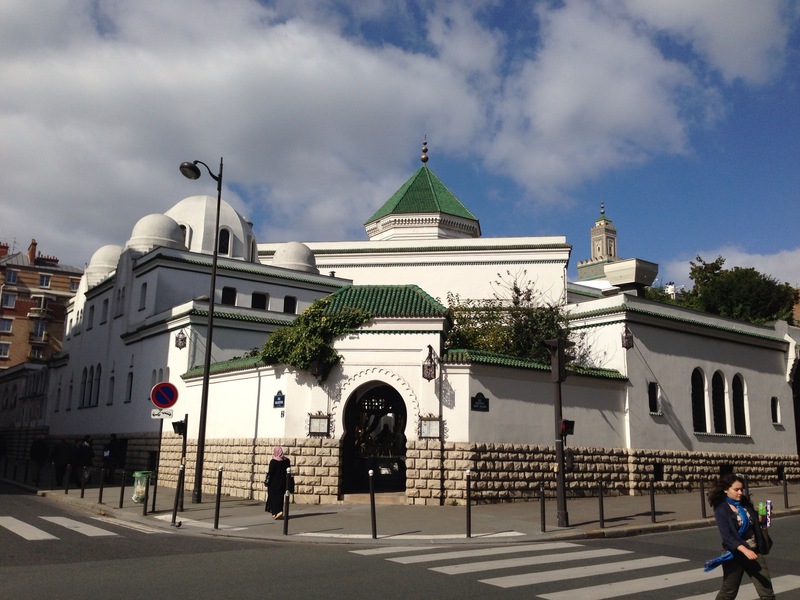 After that we walked by the biggest mosque in Paris. There was a little restaurant inside that looked interesting, but we weren’t ready for lunch. 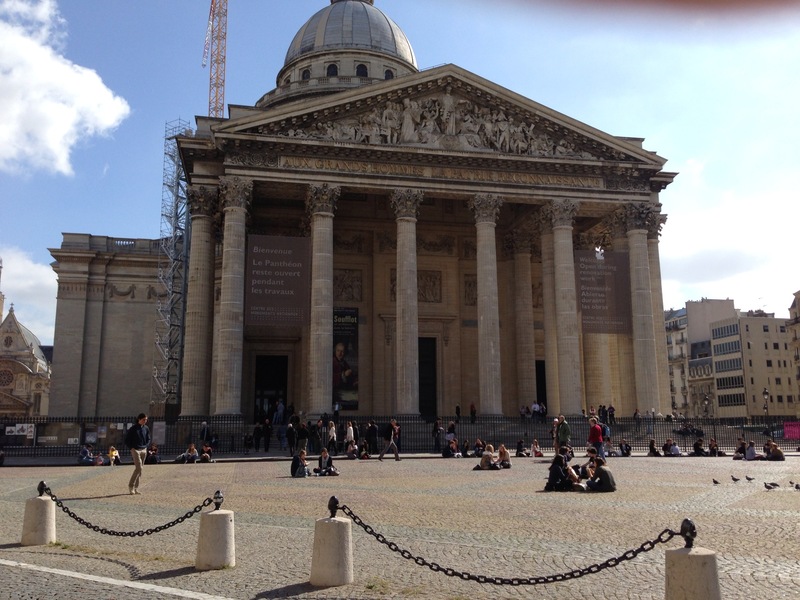 We continued exploring new areas, including the University of Paris, the Sorbonne and the Pantheon. Originally a church, the Pantheon is now the burial place of many famous French people, including Voltaire, Rousseau, Victor Hugo, Emile Zola, Marie Currie and Louis Braille. We ate lunch at a Mexican restaurant-yes, Mexican food in Paris. It was wonderful, unique and healthy-no cheese on either of our dishes. I have had a little trouble with some of the menus. The translator on my phone doesn’t always give me good information, and my French food vocabulary is more limited than I thought it would be. For awhile, I thought a number of restaurants were serving tiger (pretty sure that wasn’t right), and I think head of veal was on one of the menus today. Most of the food has been wonderful, and thanks to recommendations from friends and our own exploring, we are finding some great little restaurants. 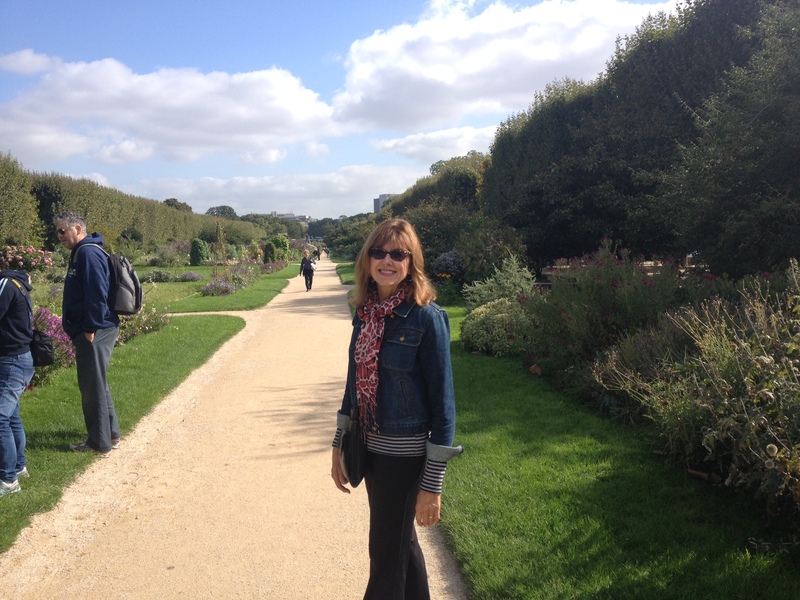 This entry was posted in Paris 2013 on September 20, 2013 by debbie.